Development of the 2019-23 Corporate Strategic Plan is underway. Following the Council meeting on April 3, Council and the Town’s senior management team (SMT) will meet to work on the 2019-23 plan. 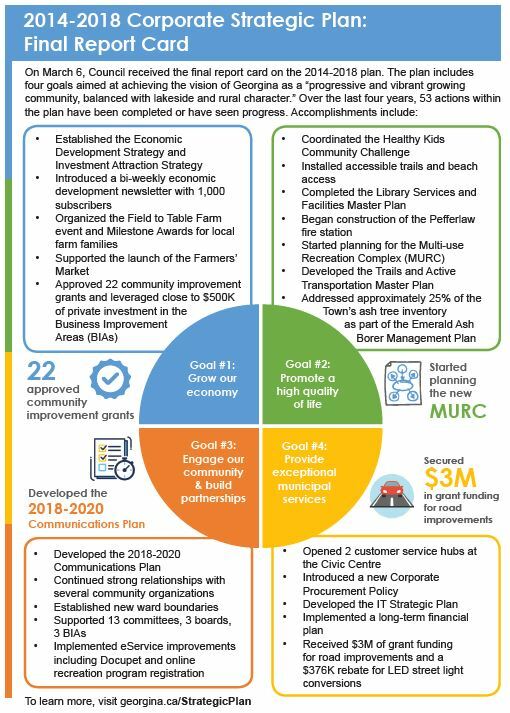 A draft plan will be presented to Council for approval in spring 2019.